Regularly maintained & most effective. Just like your body will be. 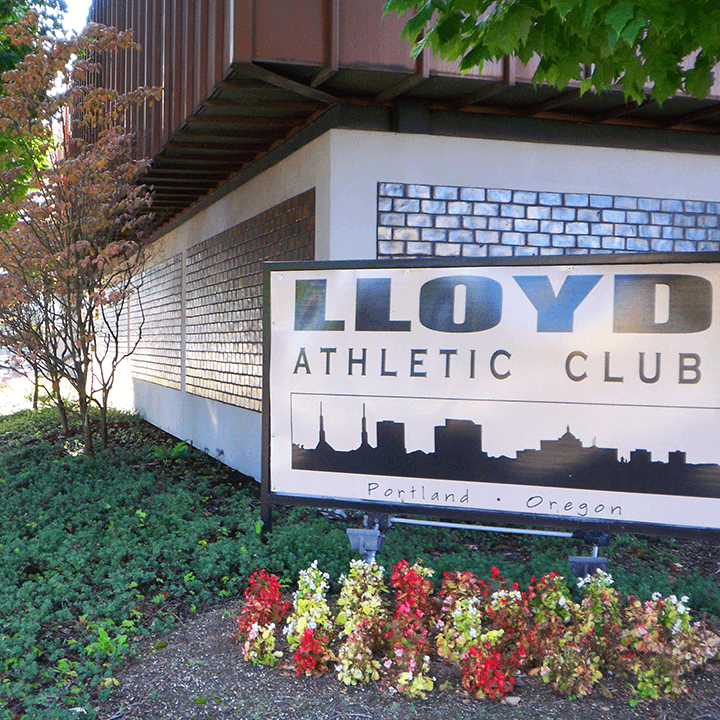 The facilities at Lloyd Athletic Club are clean, well maintained and staffed with friendly, experienced personnel. Before or after exercising, unwind in spacious locker rooms; relax and socialize in the Beverage & Snack Bar; or pick up any necessary accessories from the Pro Shop — just some of the extras that have made your health club one of the most sought after in Portland. Sure they’re nice, but they’re fitness necessities other ‘clubs’ overlook. Three squash courts including exhibition court. L.A.C.’s Cardiovascular Training Center includes recumbent and upright cycles, ellipticals, arc trainer, treadmills, stair-climbers and more. Exercise the body. Entertain the mind. Our Cardio Theater allows you to exercise and watch television without disturbing your neighbor. Treadmills, Steppers, LifeCycles and Ellipticals are headphone-ready. Then, watch and listen to any of six TV stations. Our Strength Training Area is designed to be member friendly. We offer two circuits, the Life Fitness Signature Series & Cybex, as well as Hammer Strength and a free-weights section. Fitness Trainers are available and happy to assist you with the equipment and answer questions you may have. Our full service, spacious men’s & women’s locker rooms are actually a destination for relaxing and unwinding at the club. You will appreciate the convenience of the full service amenities. Getting refreshed is must-do after a serious workout and the Beverage & Snack Bar will take care of that. Even when your visit’s just a casual one to the club to catch up with your pals, you’ll definitely get the ‘club treatment’ as you unwind in good company. Not only will you find energy drinks to power-up, but you’ll discover some of Portland’s very own premium craft beers on tap to sample over a chat or game on our widescreen TV. You’ll enjoy fresh fruit, a custom-mixed shake, other wellness drinks and snack bites. You won’t need to wait long for it either. Our bar remains staffed at all times. Forget your gym shorts one day? Just visit the L.A.C. Pro Shop. We also stock eye protection and balls for racquet sports; yoga mats; Polar heart-rate monitors and headphones compatible with the cardio theater; locks and even fresh pairs of socks. You just never know when you may need them, so we’ve done the prep work for you. Commuting by bicycle to the Lloyd District is an attractive alternative to driving. For an average bike rider, a five-mile bicycle commute takes approximately 30 minutes. We support bikers by providing bike racks and are also a Bike Central location for daily commuters. Bicycle lockers are available to rent on a monthly basis just across the street, visit the Lloyd TMA website for more details.